In order for a company to grow and develop, they need to be active on social media. This is no longer a choice, it's a requirement that will take some time and attention to master. As a home builder, this rings especially true because you're in a competitive industry and everyone is trying to reach the same people online. But where should you start to get more traction from your ads in your social media marketing strategy? 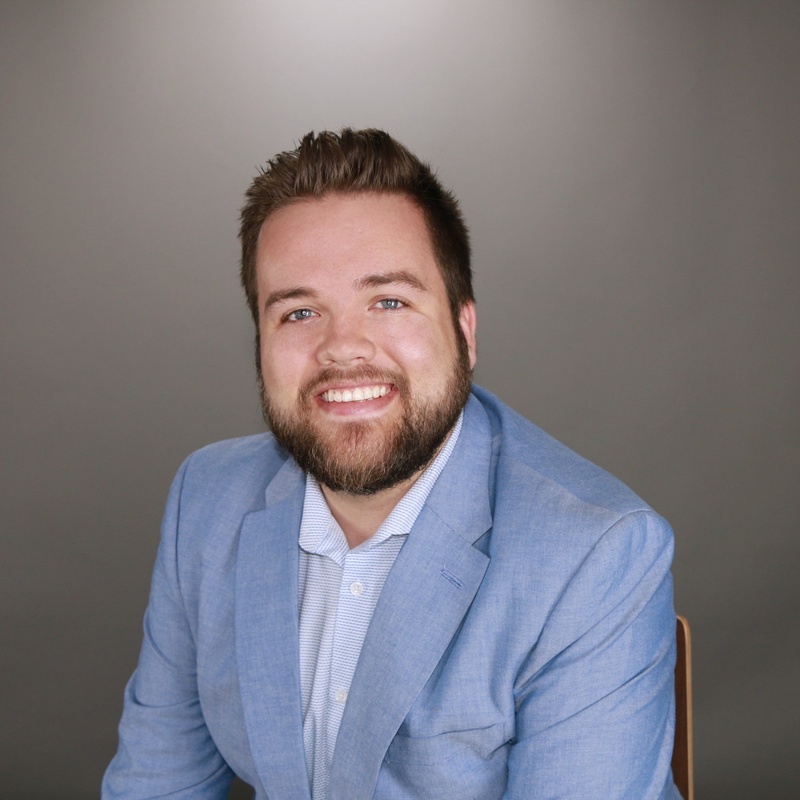 Keep reading to learn the top ways you can take your home builder ads to the next level and reach more people that fit your buyer persona. The reason why digital marketing is so successful is that it places companies directly in front of their audience. For any marketing tactic to achieve its goals, it needs to be seen by the right people. Social platforms offer that visibility. If you've ever created a social account, you know you can't just go in without a concrete plan. Like all marketing initiatives, your digital strategy needs to be well-thought out to see any success. Home builder ads can help you generate more leads and sales if they're done tastefully. Here are 11 tips for using social media to promote a homebuilding business. The first thing we're going to discuss is the social media sites you should be advertising on. 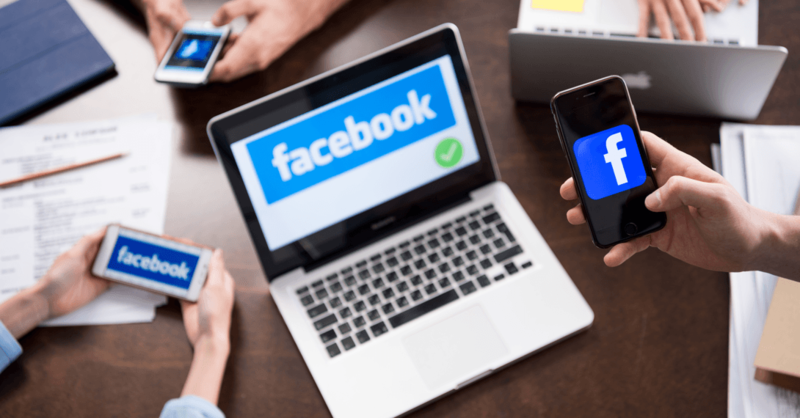 We all know that Facebook is the most popular social channel for its advertising capabilities, with the ability to create custom audiences and show your ads on Instagram at the same time. But, are both platforms going to help you achieve the same results? Of course not. These sites appeal to certain demographics, meaning the audience on each platform is not the same. You have to consider which platform you're using when generating any type of content. Instagram may not be a traditional site for running home advertisements. However, this photo-sharing platform can open the door of opportunity for home builders. Instagram allows you to reach a demographic you should be interested in. As of 2019, 71% of Instagram's 1 billion active users were under the age of 35. A 2016 study from the National Association of Realtors found the median age of first-time homebuyers is 32. If a large part of your buyer demographic is a first-time home buyer then you should really be focusing on Instagram ads. Be where they are and they will come to you! Along with directly reaching your target audience here, you can also increase your online engagement. Its easy-to-use features include direct liking, commenting, tagging, and sharing to other sites. You should also make use of its never-ending list of trade-specific hashtags. By using home- and location-specific tags, you're able to further segment your posts and be seen by more people in your local market. 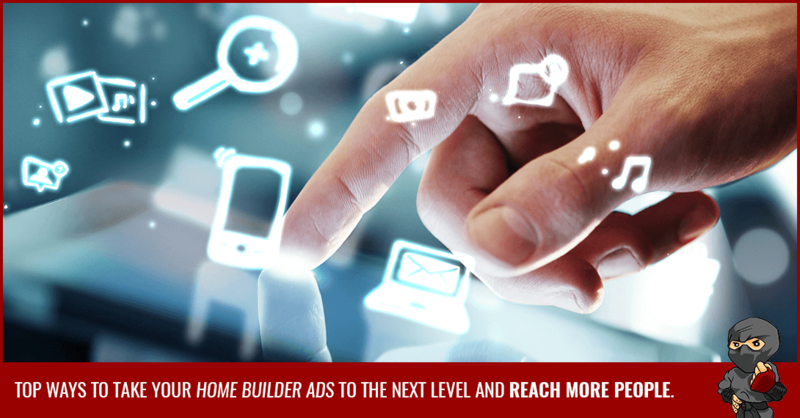 The use of Facebook for not just home builder ads, but ads from all industries, is huge business. Because of that, it's more competitive than ever to outbid your competition and find success here. We also can't forget about the number of ads that users are subjected to on Facebook. This can be off-setting to many consumers, as no one wants their timeline to be one big sales pitch. But, the fact of the matter is: Facebook is a powerhouse. With 2.2 billion monthly users and 1.45 billion daily users, you can't ignore its power. Luckily, Facebook has some pretty amazing options for home builders to gain attention. From contests to daily updates, it's pretty easy to engage with a Facebook audience. And when you create custom audiences of people that have recently visited your site or engaged with your page, they will be more receptive to seeing ads of something they're already interested. Pinterest is a staple to this list. 150 million users worldwide take to the social network each month to discover the latest trends. You can gain leverage over your competition by posting clips of your popular home models and decor ideas found inside your show homes. This will prompt the users who enjoy your content to share it or save to their boards for inspiration, which increases your awareness. Create Pinterest boards for home buyers, so these other users can pin your content. The number of users who use this social platform for home-inspo is unquantifiable. It may take some time to learn the ins and outs of Pinterest (i.e. what makes for a good photo). But, the return is well worth it. The last site you have to be active on is Houzz. Users find ideas for architecture, interior decorating, landscape design and home improvement. This social site is practically engineered for home builders. You can use Houzz to create projects and show off your past work. Houzz also allows users to search for home professionals. Creating a professional profile on here will show users that you're up for hire. Houzz is also great for generating buzz about your ideas. Simply upload some of your images which can serve as design inspiration for other users. If someone likes your ideas, they're much more likely to inquire about your business. Now that we've covered which sites you should be on, let's talk about how to use them. Although you don't want to just share the same content on each site, there are some general rules that apply to all. Home builders can thrive on social media, largely because of photo-sharing. We're all enticed by the images we see online, and home building/decor is no exception. Here are 7 strategies for publishing social media content. Whenever you complete a new project, you need to show off your masterpiece! If you're using Facebook, Google Plus, Houzz, or Pinterest, make sure you group each project by album. This looks much neater than compiling all project images into one master folder. Plus, if you don't create the albums yourself, Facebook will group it into a "Timeline" album. When using Instagram, you're not able to create new albums, per se. However, you are able to share multiple pictures at once, thanks to a recent update. Instagram now allows users to publish 10 pictures under one post. You shouldn't go crazy with this feature, i.e. don't make a habit of sharing multiple images. But, when something big comes along, like a new project, it's a great way to fully engage your audience. This strategy is great because it can be used on a variety of platforms. Caption contests are also helpful because they generate more buzz on less-trafficked posts. Think of your current social feed. Which images perform well, in terms of engagement? Which images are barely getting any likes or comments? Home builders usually see the most action under their completed project posts. But, we all know you need multiple streams of content on your page to keep it interactive. So, what to do about those less popular images? Caption contests are such an easy way to get people talking. Simply post a fun or unusual picture and ask users to come up with a witty caption. Try keeping it on brand though - maybe you can get a sales manager to pose in the kitchen of one your show homes? 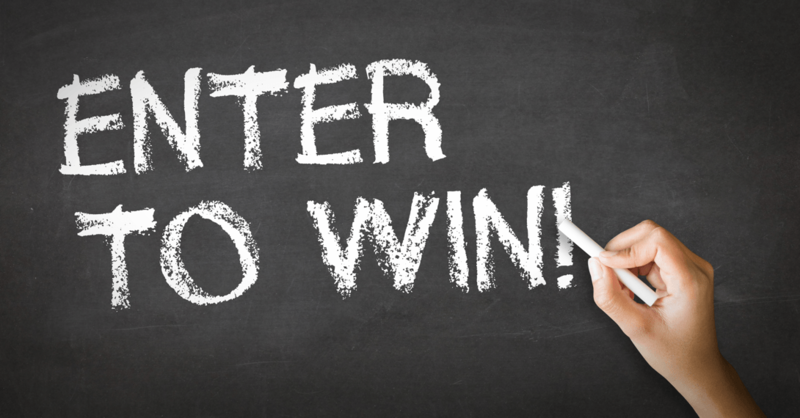 Make sure you incentivize the contest so users want to participate (or maybe share your post!). Have them tag their friends for bonus entries! Another contest idea that will get people talking and into your show homes is a scavenger hunt. Have them take a picture each time they find the next clue and post it with a hashtag you create to monitor entries. It's a fun way for your audience to explore new homes, and you'll benefit from the extra social reach. When someone buys a home, they're getting so much more than just a property. They're also inheriting a community of strangers that soon will become familiar faces. You can help your new residents feel more comfortable by getting them acclimated to the neighbourhood. And, no, we don't mean you should physically drive anyone around. Share news and events from local media outlets and community organizations, etc. You should also share big news from other local businesses that pertain to your audience (not competitors, of course). For example, let's say there is a buzzing new bakery about to open in the neighbourhood, which they announced on their Facebook page. You can share this post so your followers can see. Make sure you add your own words to these posts so followers get your insight! We all like to feel that we're in on something that not many others know about. That's why you shouldn't just share your completed projects. Instead, share updates and images as you go along! Sure, they may not make for the most aesthetic pictures. But, they're still fun for an audience who may not have much exposure to home building. This tactic is also beneficial because it gives a business a more humanlike feel. Posts like these are much more interpersonal than traditional posts. Plus, they're well-received by followers; again, due to our inquisitive nature. You can take this one step further and go beyond just project updates. You can also share things about your employees (i.e. birthdays, big announcements) or your office. Also, sharing some of your construction processes could be interesting. Take advantage of Instagram's Stories feature for these behind-the-scene updates, where you can share updates in real time and in a fun way with graphics, filters and gifs. Say you're at a show home grand opening event. What better way to get your audience interested in coming down than by showing off some of the activities and freebies they can enjoy! Want to really add a personal touch to your social media pages? Incorporate video clips of happy homebuyers and/or employees talking about your business. Ask clients who were really impressed by your work to offer a testimonial. You can assign someone to "interview" them or ask questions about their experience. Make sure they get as detailed as possible, as this will establish trustworthiness. Also, get some face time of your employees (if applicable) talking about their roles in the company. Again, this creates a more humanlike feel for your business. Ask them to get into the specifics about what your company does for customers. If you can't find anyone willing to do this, get behind the camera yourself! Seeing the owner of a company can boost a community's relationship with the business. The reason why sites like Pinterest and Houzz are so popular is simple. We love looking at things that we want for ourselves. Use this to your advantage and share any floor plan that is popular with buyers, or a new model you're excited to offer. This allows your followers to picture themselves within the home, which is crucial. 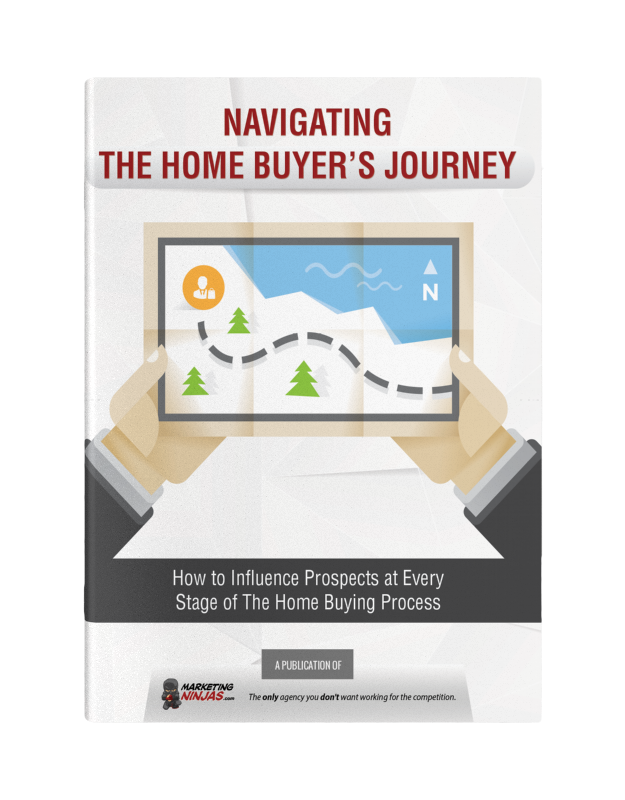 If a homebuyer can't see themselves within a property, they're not going to purchase. You can even offer decoration or design tips for the new space. Or, instead, you could ask your followers how they would decorate if it was their home. This will boost interaction within your post, without having to offer an incentive. 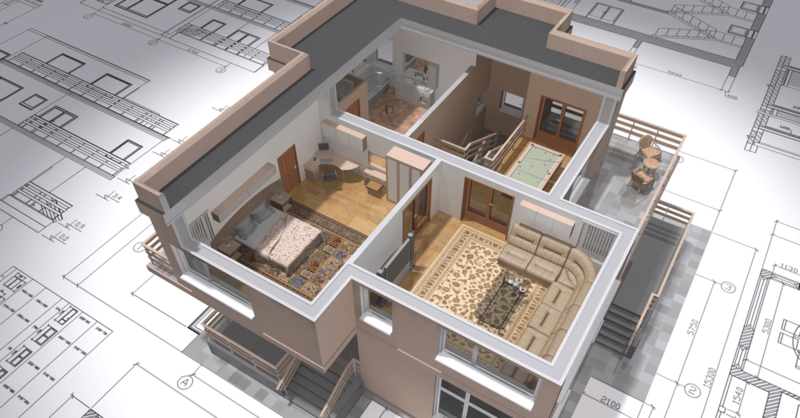 If the floor plans are appealing enough, users may even want to share with other followers. They also may choose to pin your post, which will help them remember you down the road. This last strategy is a little more useful for Facebook. However, Pinterest and Houzz also allow you to embed links to your post. (Just make sure you don't spam these channels with links to written content.) Instagram doesn't allow for clickable links, but you can add one in your bio and keep it constantly updated. Make a mention of it in your Stories and on your posts so your followers can check out your latest content. Facebook is the best place to share blog content. This will drive more attention to your posts, which is always a good thing. Plus, you can reshare content to reach more of your followers at a later date. Whenever you create a piece of premium content (i.e. case study, white page), you need to market it like mad. Manuals and guides should have at least 2-3 posts a week, when they're first released. You can eventually cycle back and rerun the content as you would with an old blog post. Social media can make or break a home builder company. If used improperly it can annoy your customers, so you want to focus on engagement and authenticity. Keep the balance between self-promotion and informational or fun posts for a brand that feels human. When carried out strategically, your home builder ads can cause business to soar. Marketing Ninjas knows just how to promote so you achieve digital success! We work specifically with home builder groups to improve their social media return. If you're looking to enhance your online presence, contact us today!